Braided updo hairstyles tutorials – Get the step-by-step instructions here. This is a super smooth big knot hairstyle with braid twist around it. The heavy full bangs magnify the eyes. This glamorous hairstyle works better on straight long hairstyle. If you do not own natural straight hair, you can straighten it. To create it, you can comb the hair into a high ponytail first, and then leave some locks loose and create the rest hair into a bun. 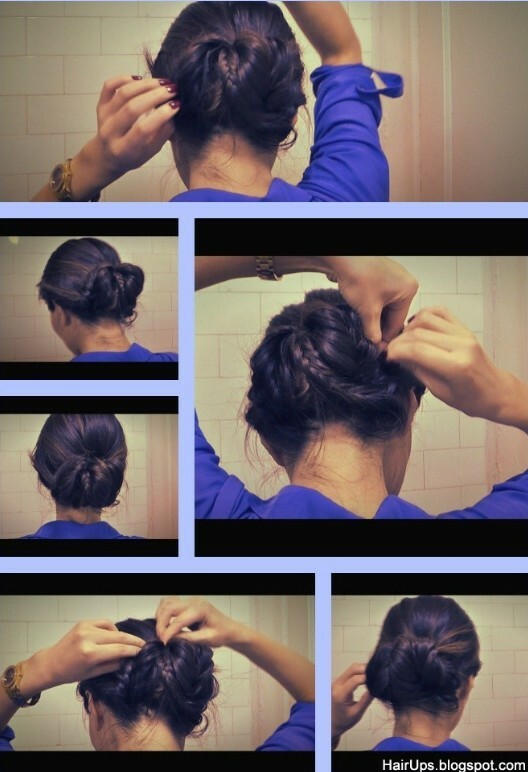 Braid the loose locks and twist it round the bun. Pair it with a flower to add more charm. This ingenious fresh fishtail with seashell braid looks romantic and cool. Although the steps may be complex, your effort is worthy. Comb all the hair to get rid off the tingles, and take the nape hair in three parts and tease the root up for volume and create the seashell braid. Fix it with a clear elastic band at the neck level. Next, create the rest hair into a fun fresh fishtail. 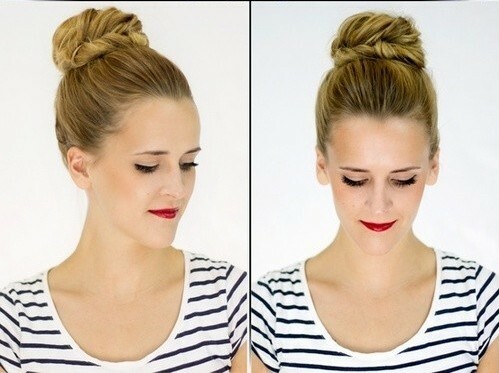 Lastly, twist it to form a splendid low bun hairstyle. 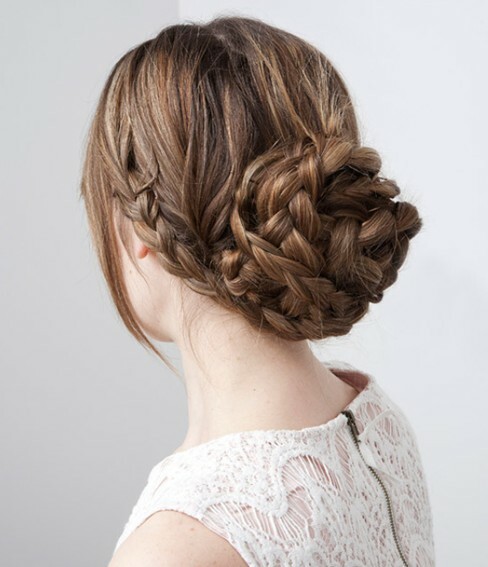 This is a fabulous big knot hairstyle with a loose side braid which adds many cool and fun factors to the whole look. The side hair is braided loosely and causally. The remaining hair is created into a low big knot. This commendable hairstyle is perfect for outgoing and great for people with round or square face shapes. This dramatic braided up-do hairstyle looks spectacular and delectable. The fascinating up-style is quite cool for formal and informal events. The splendid braided up-do is great for people with slender face lines. The lively braided up-style looks formal and fun and it can be a great hair savior for the bad hair days. This is a super vintage-inspired victory roll which looks delicate and stunning. 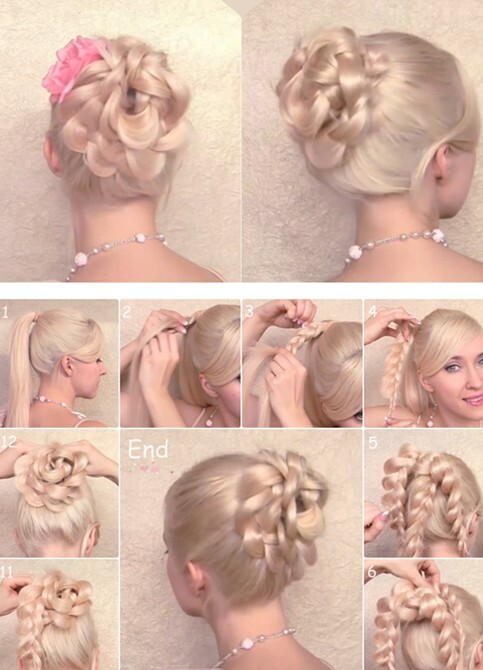 If you desire to create this hairstyle, you can do as the following steps. Curl your hair using a curling iron, then set the curls with hairspray, re-curl it with your fingers. Decide on placement and fix it with bobby pins. You can also pair it with an accessory bobby pin. 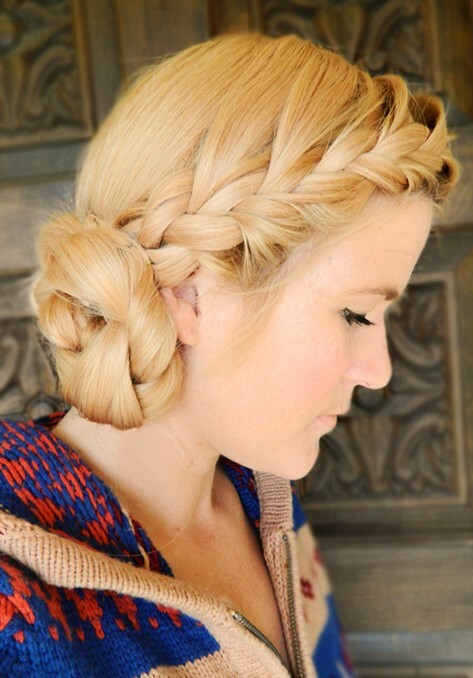 This is a fun braided up-do hairstyle which is of unpretentious sophistication. The up-do can enhance your charm and grace greatly and the stunning hairstyle is great for formal and informal events. The splendid magnificent hairstyle can expose your pretty luscious neck. A few bobby pins help keep it in great place. This is a fabulous braided flower updo hairstyle. 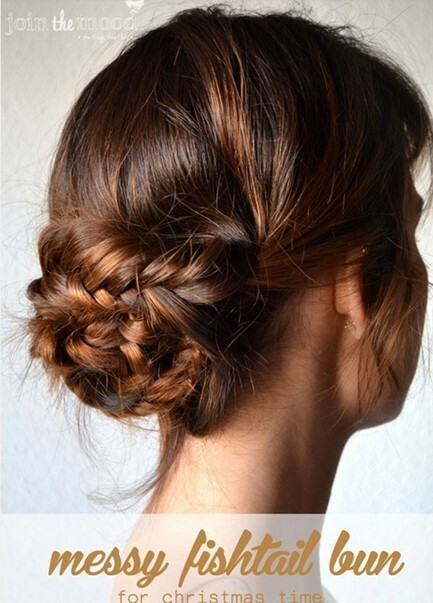 The braided bun looks stunning and is effortless to create. Create a high ponytail. Divide it into 3 parts evenly and braid every section. gently pull the hair at the very edge of the braid outward. Twist each section of hair. Secure the braid at the end and wrap each braid around the base of the ponytail and use a bobby pin to secure it. Hide the ends of the braids by folding them or tucking them under a thick braid. 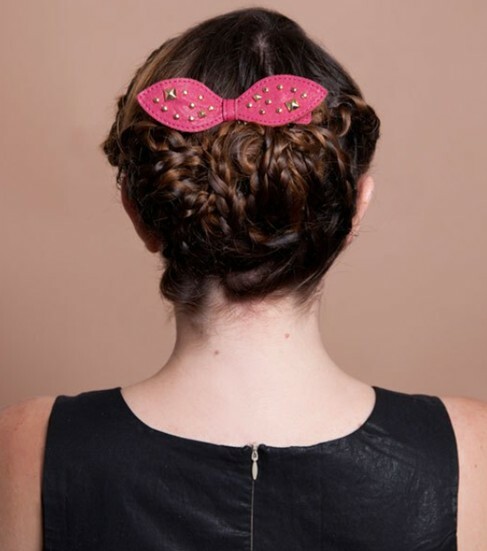 This charming up-style with braids is a true eye catcher. It offers people an elegant and fun look. To create the splendid hairstyle, you need divide your hair into a two sections from the middle. And then create fishtail braid one by one. Fix the hair ends with elastic bands. Twist the fishtail braids. 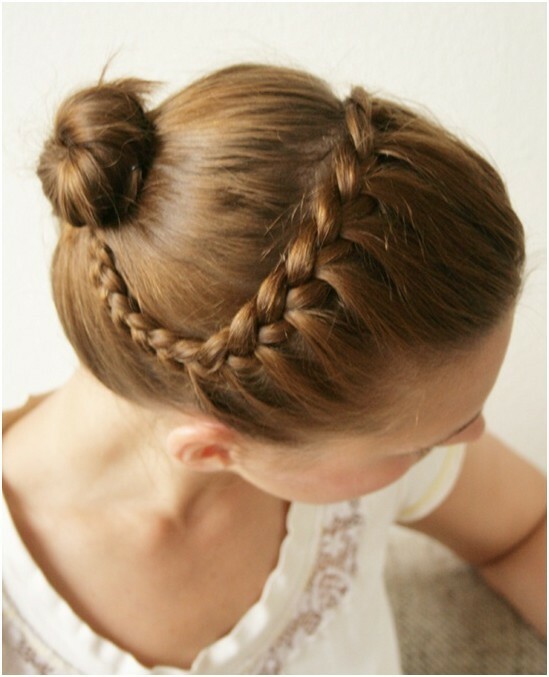 This fabulous bun with two small braid at the sides looks fun and inteesting. This stunning up-do is great for hot summer days. This cool hair is ideal for people with smooth forehead and oveal face shape. This is a stunning lovely fishtail braided up-style. It is effortless to create the splendid hairstyle. This charming hairstyle can flatter square and oval face shapes. Brush your hair into a high ponytail and fix it with an elastic band. Next, create fishtail braid and finish the hair ends with a clear elastic band. Then twist the fishtail braid around the ponytail. This double braid boho side bun looks unique and attractive. The front hair is braided loosely down until the ear level. The remainder is dragged to the side and twisted into a low bun. This gorgeous hairstyle offers people a graceful and charming look and can flatter many face shapes. This is a creative double braid bun hairstyle. It is of high fashion and works greatly on medium and long hair. Several bobby pins can help maintain it in great place longer. To gain the flaming hairstyle, you can first style a high ponytail and then divide it two even parts and began braiding an inch downward. Bext, twist the braid one by one. This is a fabulous bun with side braid which adds some fun and romantic factors to the whole look. This adorable hairstyle is better for people with long or heart-shaped face. It is quite simple to recreate the creative hairstyle. What you need to is to curl your hair into loose curls. Then leave two small locks at the sides and comb the middle part into a ponytail and twist it into a bun, braid the side hair and hide the hair ends into the bun or fix it hair pins. The simple bun pairs with the longer braided rope in a flattering way and offers a classy and creative look with fun and ornate lines. The splendid hairstyle incorporates the rope braid as a splendid coronet across the top of the head. All the head is woven into a rope braid that is drawn across the top of the head ad create an ‘Alice band’ effect. This gorgeous hairstyle is best for oval and heart-shaped face shapes.